This website provides useful material for students and practitioners of bioethics. This online resource can be used on its own, or in conjunction with a bioethics textbook. A comprehensive collection of over 200 legal cases, organized in accordance with the book’s chapters and topics; these cases will be especially useful to those who wish to examine a specific topic in greater detail for the purposes of a paper or other research project. An “Ethics Digest” containing encyclopedic entries on additional topics in ethical theory and bioethics, such as prima facie duties and social contract theory. A collection of interactive case studies in which the reader analyzes realistic scenarios through a series of multiple choice questions. 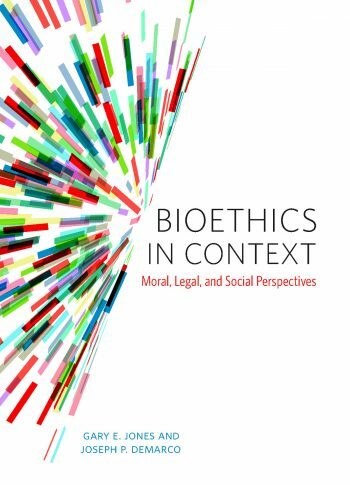 Access to this website is included free with every new copy of Bioethics in Context. If you purchased a used copy, or if you would like to use this site independent of the book, you can purchase an access code here.